Alaska Governor Sarah Palin, newly picked as Republican John McCain's running mate, has revealed that her 17-year-old daughter is pregnant. Mrs Palin, a social conservative who is opposed to abortion, said in a statement her daughter Bristol would keep the child and was to get married. The Alaska governor, a mother-of-five, was presented three days ago as her party's vice-presidential candidate. The news comes as the Republicans' national convention gets under way. The McCain campaign and Palin family asked for respect for the young couple's privacy. Mrs Palin and her husband Todd said in a statement: "Bristol and the young man she will marry are going to realise very quickly the difficulties of raising a child, which is why they will have the love and support of our entire family." Bristol is reportedly five months pregnant and would be due to give birth in late December. Advisers to the McCain campaign said they had known about the pregnancy before offering Mrs Palin the vice-presidential nomination. "Senator McCain's view is this is a private family matter," said McCain spokesman Steve Schmidt. "As parents, [the Palins] love their daughter unconditionally and are going to support their daughter. Life happens." 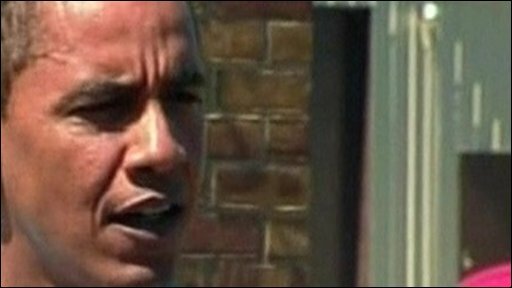 Democratic presidential candidate Barack Obama, asked for his response to the news while campaigning in Michigan, said people should "back off" from such stories. "I think people's families are off-limits, and people's children are especially off-limits," he told reporters. "This shouldn't be part of our politics. It has no relevance to Governor Palin's performance as a governor, or her potential performance as a vice-president." The announcement of Bristol's pregnancy followed rumours on internet blog sites over the weekend suggesting that Mrs Palin's youngest child, Trig, born in April, had actually been born to Bristol. The boy has Down's Syndrome. The National Journal reported that a spokesman for Mrs Palin had also confirmed that her husband had been arrested for driving under the influence in 1986. The BBC's Justin Webb in St Paul, Minnesota, where the Republicans' national convention is taking place, says the news will certainly be a talking point but may not damage Mrs Palin's standing. She was brought on board to appeal to social conservatives, our correspondent says, and they may respect the decision by her daughter to keep the baby and to marry the father. However, some people in the party who already had concerns about the lack of knowledge about Mrs Palin's record may fear what other revelations lie in wait, our correspondent adds. Janis Thurston, attending the convention, told the BBC News website: "This won't affect my view of Sarah Palin. "This sort of thing happens all the time these days. As long as [Bristol] goes through with the pregnancy..."
The party's four-day convention opened on Monday but its schedule has been curtailed because of the threat of Hurricane Gustav to states on the southern US coast. Mrs Palin is due to be formally nominated by delegates as the party's vice-presidential choice later this week. She was elected governor of Alaska in 2006 and before that was mayor of the small town of Wasilla, Alaska. John McCain tells delegates "change is coming"